Cheese, much like wine, is considered a treat for many connoisseurs who partake in the wide variety of products. However, due to certain properties in some cheese products, there are possibilities for the outbreak of foodborne illness for items that are raw or improperly stored. Gort's Gouda Cheese Farm based in Salmon Arm, British Columbia, was found to have caused an E. coli outbreak that killed one person and sickened 20 others, CBC News reported. After the outbreak, many were left to ask what had happened and why it had taken over a month to issue a warning after the death of one person. The Canadian Food Inspection Agency finally released an advisory, noting that the recall was part of an ongoing investigation. It listed several of the cheese provider's products as potentially being the cause for E. coli. 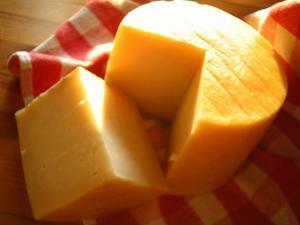 The main reason for contamination was the raw milk used to make the cheese. Due to the lack of packaging identifiers, the products may have been sold as a typical item to an unsuspecting consumer. Once infected with E. coli, many victims don't seek treatment unless it is a severe case. Most healthy adults recover within a week, however, children and older adults should consult a doctor as they can be more affected by the bacteria, according to Mayo Clinic. For the person who was killed by the E. coli infection, the family continued to eat the cheese without knowing that it was the cause, which could have led to further complications. In many foodborne illness cases, it takes months to find the source, if it is found at all. This requires officials to conduct interviews with those who report being sick and display clearly identifiable symptoms. They must also be able to narrow down victims' diets to a single commonality. For the staple of American cheese as well as other pre-sliced packaged products, there won't be as much work in keeping it fresh for consumption. When using a temperature sensor for more exotic varieties that come wrapped in paper, the environment should be kept between 35 and 45 degrees Fahrenheit with a high humidity level, according to the American Cheese Society. Freezing the products is generally discouraged as natural cheeses could lose their texture and flavor. Storing the cheese in the freezer should only be done when the product will be used strictly for cooking as the cheese will begin to crumble once it thaws. While typical sandwich cheese is already prepackaged, fresh products require storage in other materials. Nora Singley of The Kitchn urges not to use plastic wrap as it will suffocate the flavor. Instead, using cheese paper is the best way to go. Putting it in waxed paper then loosely in plastic wrap will also work if the cheese paper isn't available. The cheese should be labeled and dated to distinguish it from any other cheese products, this way the expiration date will be better noted and consumers will be able to use it. Many people like adding fresh grated cheese to their meals, however, it must be done properly for the full effect. Adding at the end will allow the cheese to stay cool, and grating it when it's cold is easier, according to the American Cheese Society. Cooking on the stovetop should be kept on low to medium heat for the best result. The E. coli outbreak is a reminder how proper labeling, prompt warnings and appropriate storage is crucial to maintaining products and keeping consumers healthy. Observing best practices for cheese storage will provide more enjoyment and deter any foodborne illnesses.